A few weeks ago I ended up locked in a deadly game of cat and mouse with an Uber driver. I had moved from one side of the road to the other, having seen that he was coming from the opposite direction, only for him to drive straight past me, double back around and pull over on the other side. This was on a ring road, just to add insult to injury. The result of all this abject chaos? By the time I arrived at the agreed destination, everyone else had moved on to a different bar. This is the trouble with getting an Uber, you have to make sure you know exactly where and when you're meeting people on the other side and just kind of hope nothing goes awry in the interim, but what if you could not only track people directly, but bother them on Snapchat to make sure they stay put? 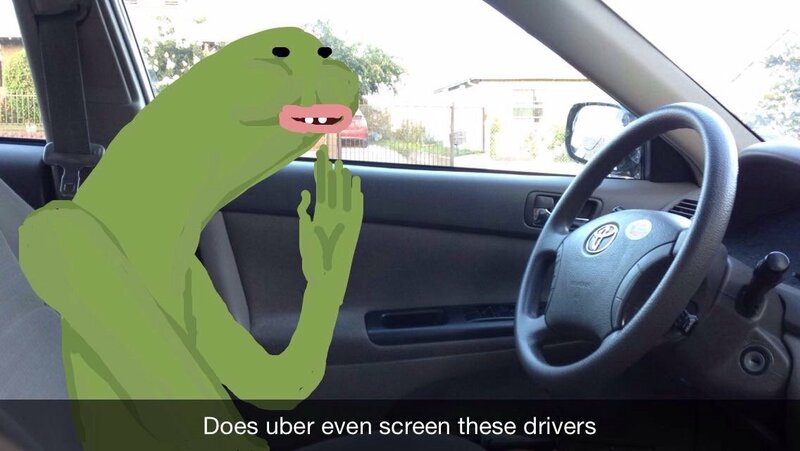 Well, once Snapchat's internal Ubering feature comes out, you'll be able to do just that. Rather than selecting a destination, you select a person from your friend's list and provided they stay put, the Uber goes after them. On top of this, the unfortunate target can also be sent snaps detailing who's coming after them, when they'll get there and, inexplicably, what kind of Uber they're in. Uber has to be granted access to your contacts in order for this to work, and you can still select someone who doesn't have Snapchat as a destination, you just can't snap at them about it, obviously. Allowing Uber to look at this information might make some people squirm, considering recent revelations about them tracking location data even when the app isn't in use, but really there isn't much more they can do with it beyond the actual service. Both Uber and Snapchat have gone on record saying that one of the reasons they're partnering up is for the fun of it, but it certainly seems like Uber are make a last ditch effort to clean up their image in the wake of a seemingly endless string of controversies to do with their drivers, their corporate approach, and everything in between.